The Queen of Halloween, Mistress of the Dark, proprietress of horror and the macabre wants a space on your keychain. And you’ll oblige her because she commands countless ghouls, vampires, bats, demons and other assorted things that go bump in the night. 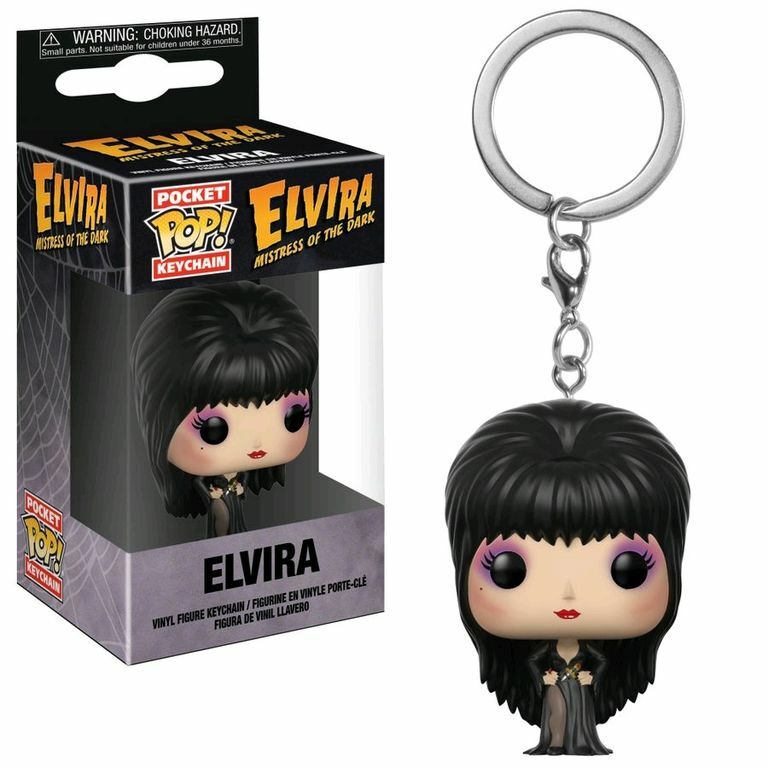 Measuring approximately 1 1/2-inches tall, the Elvira Pocket Pop! Key Chain comes packaged in a window display box.